The Black Sheep Dances: Edited: Reviews by our Stunning SRC participants! Edited: Reviews by our Stunning SRC participants! 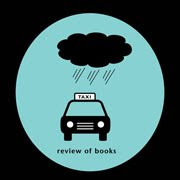 I've been collecting reviews by various members of the Scandinavian Reading Challenge who have kindly sent me their links (if yours doesn't show, please email me, I know there were more than this saved). Just for fun, check out their reviews and their blogs. I am in awe of their talent! Quote of the week by Challenge Participant Ken M: "Wow, A Swedish novel with the word "Black" in the title, I wonder if it will be gloomy. What are the odds do you suppose?" WoW, all these reviews were awesome! I've added the first 2 books to my list since I've already read the last one. Great reviews! Thanks for posting these Amy! Thanks for your kind compliment. Appreciated. All these reviews are excellent. Till now I am in confusion on how to write a literature review. You helped me a lot to study how a review looks like. Thank you for this beautiful post.